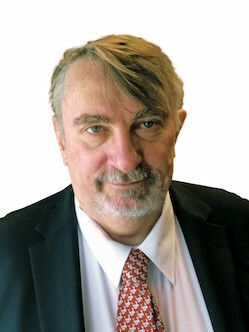 Mike Sullivan founded New Zealand’s first dedicated Ocean and Coastal Marine Law practice, Oceanlaw New Zealand, which he set up in December 1998, following on from his specialist practice with a Nelson firm. Mike built up a substantial clientele in the New Zealand Fishing Industry and at various times has advised most of the major fishing companies in New Zealand. Regularly advising some of the largest New Zealand fishing companies on fisheries laws and policies. Appearing for Fisheries Clients in Judicial review proceedings that overturned Ministry of Fisheries long standing Non-QMS species policies. Representing fishing companies and individuals in many of the major Ministry of Fisheries investigations conducted over the last decade or more. Appearing for various fishing interests and clients before parliamentary select committees. Appearing, in more fisheries prosecutions than any other solicitor in New Zealand. Providing advice on fisheries matters to Ministers of Fisheries, select committees, representatives of the Crown and Ministry officers. Providing specialist fisheries law drafting and policy advice to foreign governments. Appearing as a guest lecture on fisheries law and policy. Providing specialist advice to the New Zealand Seafood Industry Council and other Industry representative bodies and stakeholder groups. Appearing as an expert witness on fisheries matters in legal proceedings and inquiries. Advising Seafood Industry clients on company acquisitions, vessel and quota purchases, foreign jurisdiction access rights, aggregation exemption applications, etc.